In Manchester, England, people are being actively encouraged to fast-forward an advert on Ocean’s full motion Loop network. Created by Engine to raise awareness and funds for Spinal Injuries Association (SIA), ‘Donate to Accelerate’ was one of the winners of Ocean’s annual digital creative competition , which pushes the boundaries in DOOH using emerging creative and technical capabilities. 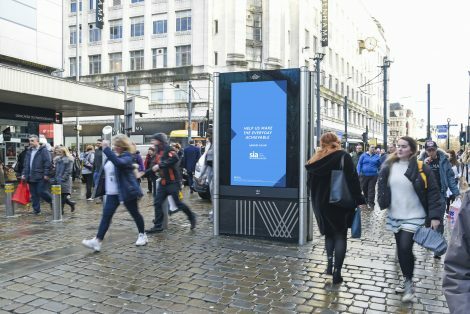 Timed to coincide with Disabled Access Day, the interactive donation poster campaign launches in Manchester on Saturday, March 16, supported by experiential activity.